Catch Up On Our Dental Filled Week! The weekend has arrived everyone! It has been a hot and sticky week here in the city, but we kept cool over here at Sugar Fix Dental Loft. This week we had a patient who was excited to fix some chipping in his front teeth, along with a few on his bottom row. Chipped teeth is a common occurrence that can become uncomfortable and unsightly. When you have surface damage to your teeth, it may make you more vulnerable to other oral health concerns. That’s why here at Sugar Fix, Dr. Jessica Emery and her team strive to keep our patient’s smiles healthy! When keeping up with continuous cleanings, Dr. Emery is able to go over any questions or recommendations you may have when she is doing your exam. When having that one on one time, she is able to give advice and diagnose any treatment you may need. 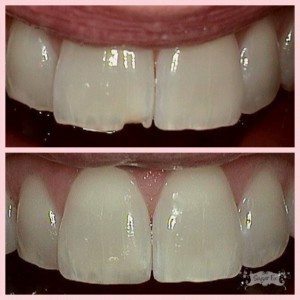 An amazing transformation done on a patient’s chipped front tooth. 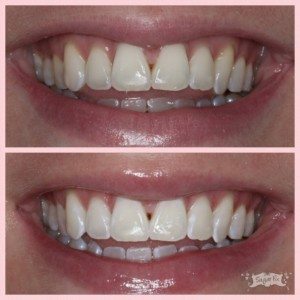 We had another lovely patient in this week that wanted to brighten up her smile with our in office whitening service, ZOOM! This whitening treatment is in office, where you are able to get up to eight shades whiter in 45 minutes! ZOOM! is not only fast and effective, but safe as well. It is a great service when you’re in need of a fast action whitening for a wedding or if you’re going on vacation. You’ll leave here with a brighter, whiter smile! Here at Sugar Fix Dental Loft, we love to experience as many events in our community as we can! On Thursday night, Lakeview’s Concerts On The Curb was put on where there was live music, a life size Connect Four game, and some great food to try! It was such a great fun, family filled night with dancing and laughter all around. Don’t miss the next date on their schedule, which is Thursday, August 18th starting at 5:30 that evening and going to 8:30 PM. Concerts On The Curb is located right in front of Sugar Fix’s office, so please stop in and say hi, we’d love to meet you! 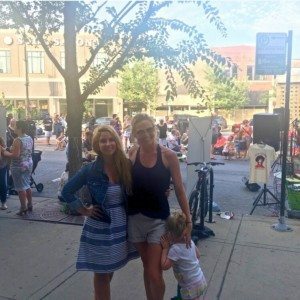 Paxton and Nicole enjoyed live music while attending Concerts On The Curb right outside the Sugar Fix Dental Loft office! Make sure to follow us on Facebook, Instagram, Twitter, and Snapchat @DRJESSICAEMERY to keep up to date on all of our fun and exciting times at Sugar Fix Dental Loft. Have a great weekend!